Worldwide, the alkali-silica reaction (ASR) is a major cause of premature concrete deterioration, second (on most lists) only to the corrosion of reinforcing steel. ASR falls within the broader category of Alkali-aggregate reaction (AAR) and is currently one of the two types of recognized AAR reactions, depending on the nature of the reactive mineral. The alkali-silica reaction (ASR) involves various types of reactive silica (SiO2) minerals; alkali-carbonate reaction (ACR) involves certain types of dolomitic rocks (CaMg(CO3)2). Both types of reaction can result in expansion and cracking of concrete, leading to a reduction in the service life of concrete structures. THE CAUSAL TRIANGLE. Researchers have defined a causal triangle that sets off ASR within concrete—the presence of these three components: water, Portland cement, and reactive aggregate. These three components contribute the four essential ingredients that produce an expansive gel in concrete—alkalis, silica, free calcium hydroxide (CH), and moisture. Starving the concrete of one of those components can effectively prevent ASR. THE REACTION. The alkali compounds within Portland cement react with the silica in the aggregate creating a chemical compound with a thirsty affinity for water. When water is absorbed, the resulting gel swells, cracking the concrete and even the aggregate itself. This map-cracking opens the concrete to further attack from outside elements—sulfates and chlorides, marine salts, and freeze-thaw—which accelerate the deterioration of the structure. The primary chemical reaction between Portland cement and water creates a deleterious compound know as Calcium Hydroxide (CH)—radical free calcium—that, unabated, will react with alkali and aggregate-contributed silica to form a hydrophilic (water-attracting) gel that expands relentlessly. In many cases, several concrete-destroying mechanisms are acting together. Some of the CH also migrates to the surface, leaving behind a porous network of microscopic, inter-connected wormholes that provide for easy ingress of water to continue to fuel the expansive ASR gel. Ingress of water also begins the destructive freeze-thaw cycle. Chlorides and sulfates also invade, attacking the concrete bonds and the reinforcing steel within. 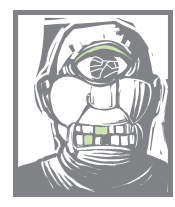 THE FACE OF ASR. The face of ASR is ugly. An images-search for alkali-silica reaction in concrete turns up hundreds of photos that show the billions of dollars worth of infected concrete structures—from sidewalks to dams to bridge beams—that are crippled and dying from ASR1. The primary evidence that ASR is present within a concrete structure is map-cracking. Map-cracking (a series of interconnecting cracks spidering through the concrete) is not always evidence of ASR, but it is typical. In particularly bad cases, evidence of the ASR gel itself—either white to dark grey—is evident in the larger cracks. Carefully engineered tolerances and alignments, such as gates in dam structures, are wrecked as ASR physically moves the concrete. Upon petrographic examination, alkali-silica gel can be observed in affected concrete. Typically, confirming ASR means an extensive suite of field and lab tests that may include observation of distribution and severity of the defects in evidence, in-situ monitoring of deterioration progress (in particular expansion and deformation), and laboratory tests (petrography, chemical, physical, and mechanical) on samples from the affected structure. Once the alkali-silica reaction begins within placed concrete, it cannot be stopped—although efforts are ongoing to figure out how. Symposiums and research have determined several methods to slow it down—primarily by sealing the surface to ward against accelerated attacks from without, but the hard facts are that ASR-affected concrete is flawed at the molecular level and is doomed to an early death. Where concrete engineers have had success combating and defeating ASR is with preventative mix designs. Alkali-silica reaction was first identified in the late 1930s. Since then, ASR has been widely diagnosed around the world. The costs of such widespread failure to critical infrastructure concrete has spurred extensive research into the problem. In other words, the consequences of ASR are effectively avoided only with the proper concrete mix design4. Once ASR infects a structure, it cannot be cured...only slowed. The service life of an ASR-infected structure can be extended (using drying methods, chemical treatments, stress relief, restraint, etc.) but not restored to original integrity. • Low-Alkali cements have been used in an attempt to defeat or ease the alkali-silica reaction, but effective-analysis has shown that even a small amount of alkali will touch off ASR. 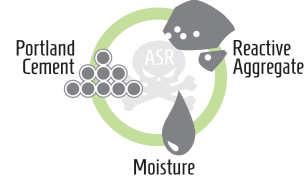 ASR will also occur in low-alkali structures that are subject to repeated wetting and drying: alkali builds up in the drying zone, igniting ASR. • Non-reactive aggregates can be trucked in. Depending on the extent of the project, this can be prohibitively expensive, if not outright un-doable. • Reactive aggregate can be sweetened with the addition of limestone or other non-reactive aggregate. This is most cost-effectively done during the quarrying process if limestone or non-reactive aggregate is available nearby. • Mix designs with low W/C ratios form denser concrete that starves the reaction of moisture and are more able to withstand ASR expansion forces, cutting back on moisture infiltration. Placing such concrete comes with its own set of challenges. • Use less cement, which introduces less alkali and spawns less CH. Only practical in low-strength applications. • A dosage of lithium nitrate balanced against the alkali content of the cement has been found to be an effective ASR mitigating admixture. Cost and unstable wet-concrete spec difficulties are such that lithium is mostly reserved for use as a critical-need solution. • Metakaolin is a highly reactive calcined clay that has proven effective. The heating process to calcine the Metakaolin adds to its cost; it is typically used in smaller-scope, critical-need situations. • Silica Fume has proven effective, but can cause placement and finishing problems (extremely fine particle size: prone to clumping if not mixed extensively and properly). • Air-entrainment can open the pore spaces in concrete to give the expansive gel somewhere to go. Effectiveness is highly unpredictable. • Control access to moisture and alkali from external sources. Blocking water access and maintaining the concrete’s internal relative humidity below 80% can stop further gel formation and growth. Applying a sealer such as paint or similar moisture barrier to the concrete surface can do the trick. Sealers must be reapplied periodically to remain effective. • A combination of low alkali cement and Class F fly ash been used extensively as a semi-effective mitigator, as have Class F fly ash and slag-blended cements. Class F fly ash tends to be loaded with toxins, is hard to reliably source (diminishing supply), varies in color, and, per its waste-based origins, is not consistently performance-quantifiable. • Recent research, spurred by studies† made on enduring Roman concrete structures (many over 2000 years old), has centered on the use of pumice as an excellent SCM for improving modern concrete performance. This historical evidence, combined with current, quantifiable research, has revealed pumice as a significant mitigator of ASR. ASR Miti•Gator™ is a pumice SCM mined and refined from the world’s purest commercial deposit of white pumice and is available for shipment world-wide. 1• ASR Miti•Gator directly consumes much of the deleterious CH2 (a byproduct of the primary hydraulic reaction), preventing the ionic interaction with the alkali that forms thirsty alkali-silica gel. The fact that ASR Miti•Gator is used as a percentage of replacement for cement also means less CH is spawned. 2 • ASR Miti•Gator reduces the pH of the concrete pore solution by entrapping free alkalis. 3 • The pozzolanic reaction3 ignited by introducing finely-processed pumice to the concrete mix design tightens the concrete matrix to block and control moisture infiltration. What little alkali-silica gel that may form is denied moisture and cannot swell. 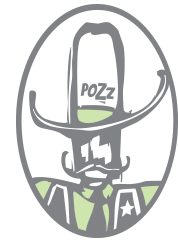 4 • The pozzolanic reaction provides for a denser, stronger concrete4 that is more resistant to the expansive pressure caused by any remaining ASR gel. 5 • Using ASR Miti•Gator allows for use of standard Portland cement (instead of low-alkali type) and locally-sourced aggregate, reactive or otherwise. 6 • The consistent chemical makeup and performance of ASR Miti•Gator is well-suited for cement replacement, providing both a cost advantage as well as additional benefits to concrete performance beyond ASR mitigation5. 7 • ASR Miti•Gator can be tightly optimized as a cement replacement for specific reactive aggregates once the properties of a given aggregate are known and may even lead to the use of economical pumice-blended cements for preventing not only ASR, but to solve other concrete durability issues. Oregon, for example, initiated a comprehensive research program (2014) to identify and test ASR-susceptible aggregates found within the state in a effort to quantify the reactiveness of various aggregate sources, which will allow them to choose the most effective mix-design for mitigation. 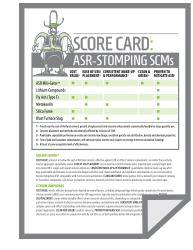 ASR Miti•Gator's alkali-silica mitigating properties, cost-effective price-point as a cement replacement, and quantifiable performance put ASR clearly in the crosshairs—new concrete structures can be effectively free of ASR, no matter the aggregate source. • Report on the Diagnosis, Prognosis, and Mitigation of Alkali-Silica Reaction (ASR) in Transportation Structures (FHWA-HIF-09-004; US DOT Federal Highway Administration). • Akali-Silica Reactivity Field Identification Handbook (FHWA-HIF-12-022; US DOT Federal Highway Administration).